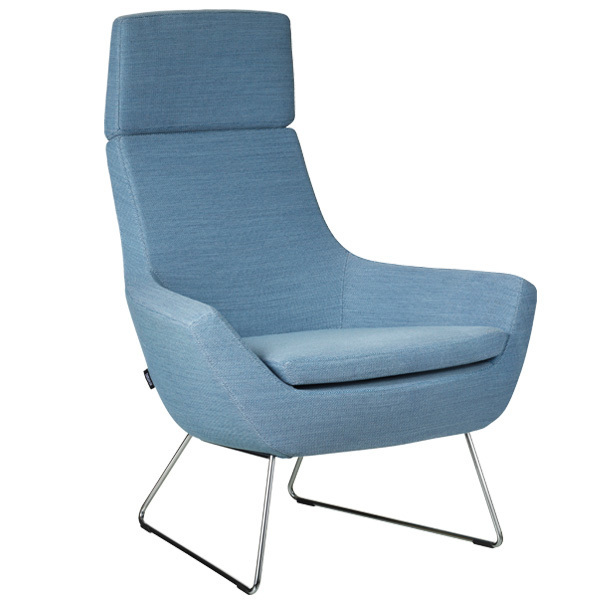 Happy is an easy chair that fits for various kind of interiors. 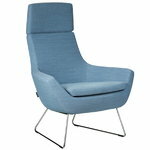 Designed by Roger Persson, it is perfect for public spaces and lounge areas. Th Swedish industrial designer Roger Persson (b.1967) graduated from HDK in Gothenburg in 2000. After graduating he established the design studio Stilpolisen with to other designers and since 2009 he has been running his own studio. Persson designs mainly furniture and lightning. He describes his design as a play with lines and curves. By adding soft forms and surfaces to otherwise modern and stiff expression he crates a long-lasting design language.